What a turbulent world it has been since our last edition! I think that this has been the hardest magazine that I have ever had to put together – there have been difficult times for me before, notably losing our foal in horrific circumstances in June 2014 – but the events of the past few weeks have been not only preoccupying, but totally out of our direct control. The biggest news has to be Poland. The sacking of Director Marek Trela from Janów Podlaski, Director Jerzy Białobok from Michalów State Stud, and of Anna Stojanowska, the Chief Arabian Horse Specialist from the Agricultural Property Agency, sent shockwaves around the world. Petitions were quickly created, letters sent to the new Polish government, and as a whole, the Arabian horse community pulled together. We have a number of articles in this edition regarding the Polish news: my own explanation which was posted on Facebook, to try and help friends and family understand why my timeline was full of ‘Poland’; Scott Benjamin’s brilliant and insightful look at Poland and the possible consequences of such action; and a piece from Newsweek Poland, based on George Orwell’s famous book, Animal Farm. Support for Marek, Jerzy and Anna continues to grow and international media the world over – not just in the equine industry – are picking up with and sharing the news. Please act now – send letters, sign the petition, and help try to not only reinstate these great people to their rightful roles, but to preserve the continuity and great tradition of the Polish State Studs that are so very revered the world over. While we were all getting our heads around the news from Poland, the amazing horsewoman Sheila Varian, who had been fighting cancer, decided to stop TPN and fluids. Three days later, on Sunday 6 March, she passed away, sending another shockwave around an already assaulted Arabian horse world. 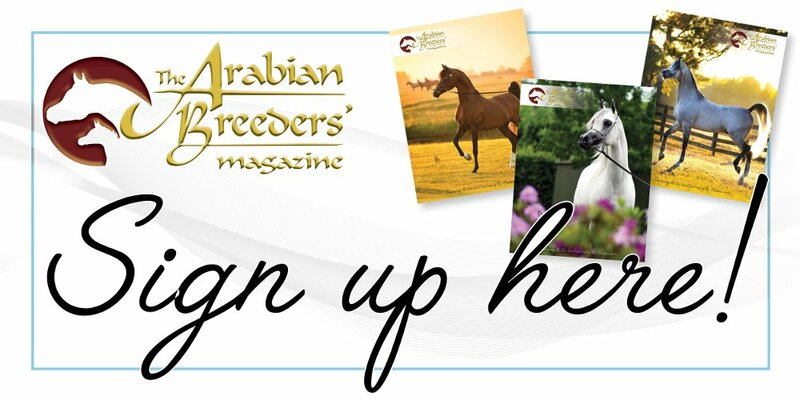 Sheila was one of the most incredible and inspirational people in the Arabian breeding community – the fact that she was a woman only added to this. The Varian breeding programme reaches far and wide and to think that it all came from “one young girl and her horse”, as Sheila described herself, is extraordinary. Plans are now very much in place to create a trust for her ranch in California, and donations can be sent to the California Rangeland Trust. And finally, in between Poland and Sheila, we were to learn of Elizabeth Salmon’s passing away, also from cancer. An international judge, this British lady lived much of her life in the USA and she was a great supporter of The Arabian Magazine, especially when it first began. All in all, these things have made being focused on a deadline incredibly challenging, so I hope that you will forgive us that this magazine is a couple of days late. One bright note, however, is the cover of this March Las Vegas-bound edition: Celestina INZ. This yearling filly was named Gold International Champion Filly in Scottsdale last month, and she very much represents the future. For while the world of the Arabian horse, that we all know and love so much, has presented many challenges to us the past few weeks, we know that the next generations will come along – to captivate, to charm, to inspire, and to encourage. Have a safe month everyone.